For many years, American car guys have complained that Japan gets many cool cars and variations that we don't, but it appears that this automotive envy goes both ways. Hiroki Matsuo of Saitama, Japan found himself obsessed with the look of powerful American sports cars as a kid, but when he grew up realized Corvettes and VIpers were to expensive and impractical for Japan. 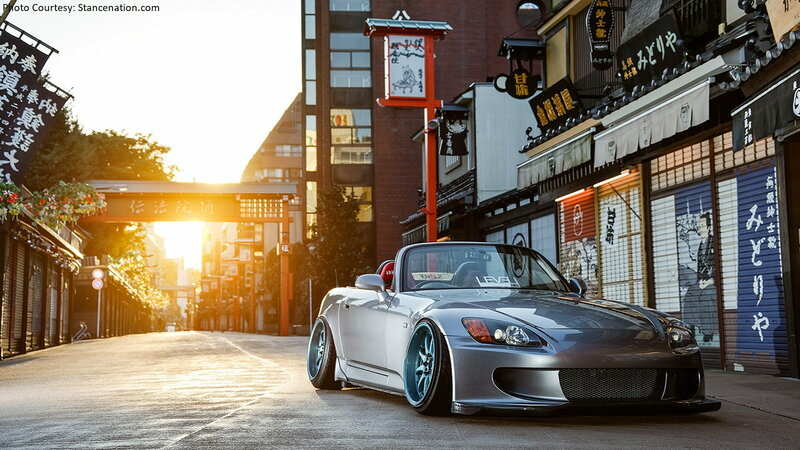 His desire to own a North American look S2000 is what led to the slammed and stanced Honda you see before you; a car so well built it scored a Stancenation feature. 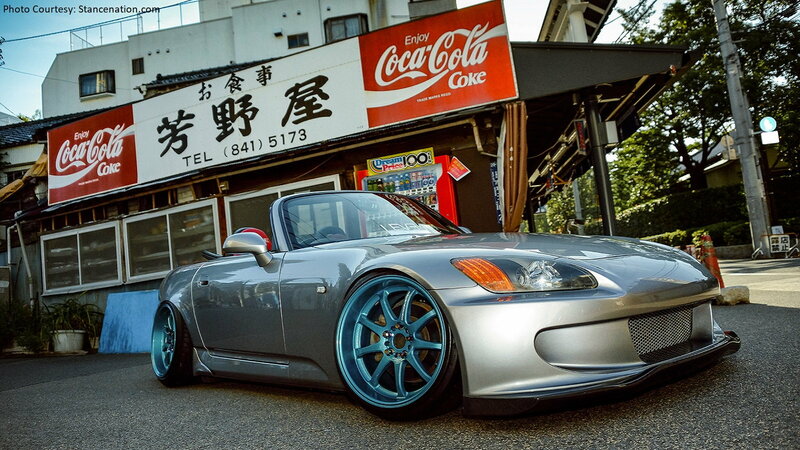 >>Join the conversation about American Style Honda S2000 in Japan right here in the S2ki Forum! It all started with the USDM spec bodywork. The front end comes from renowned S2ki tuner ASM, and it blends in nicely with OEM side strakes and a Voltex rear diffuser designed for the EVO. 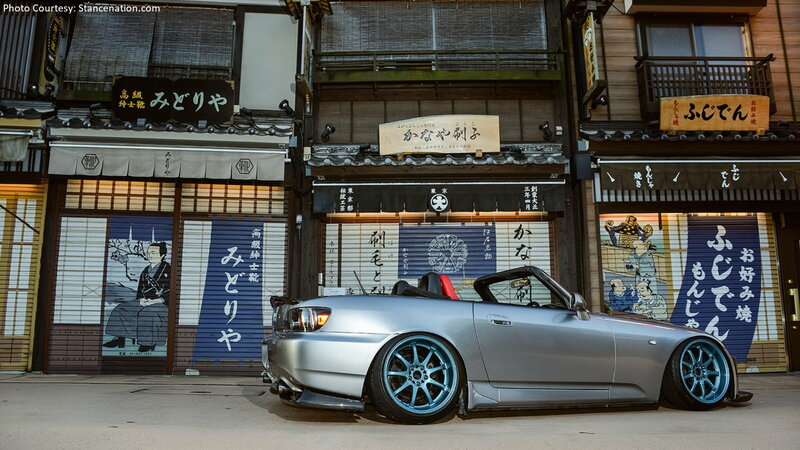 Above that sits an US market AP2 bumper and taillights, along with a Veilside trunk spoiler. 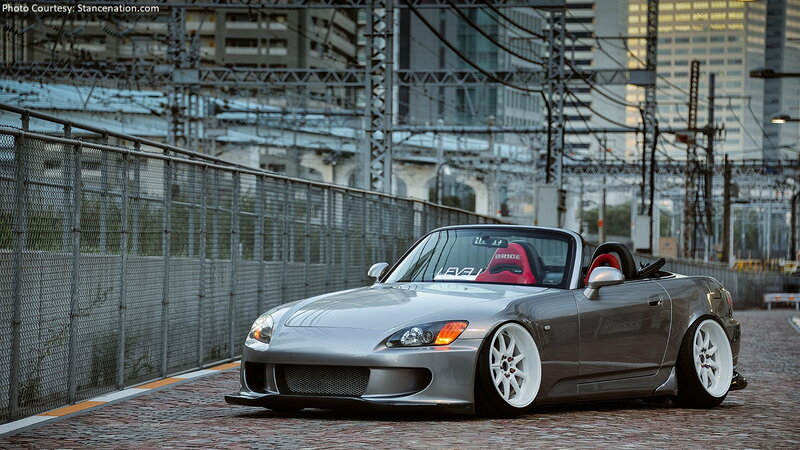 The headlights, however, are from an AP1, but plans are to replace the entire front with American AP2 parts. 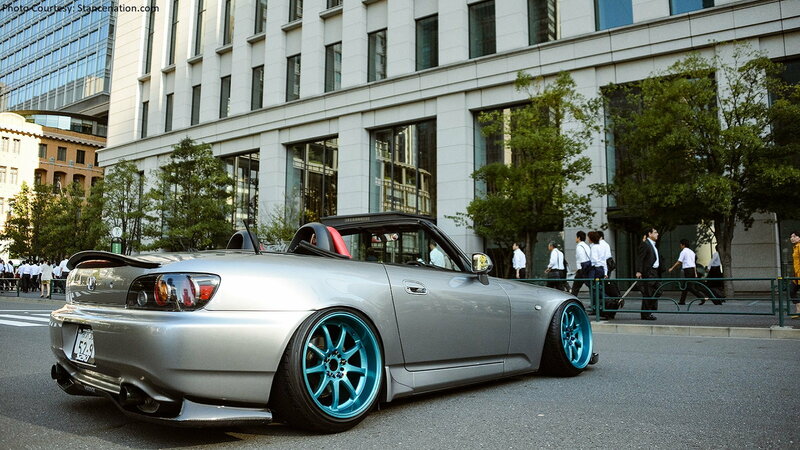 At first, it might seem a little silly to stance an S2000. After all, this is a car celebrated for its excellent balance and handling prowess, but it's also a great looking little thing, even stock. Matsuo wanted to express himself through the car via a unique look, and we'd say he accomplished just that. The key to Matsuo's unique S2ki, of course, is the stance. To get the car perilously close to the earth, he fitted it with Racing Gear JTC N1 dampers and KYB springs. To keep from damaging its precious bodywork, the spring rates are intentionally set quite high. A set of four 18x10 Work Emotion XD9 crowds the fenders, which obviously had to be pulled out to make room for that aggressive offset. Perhaps the most unique aspect of the rolling stock is that the wheels on each side are painted different colors. One one side, you'll see white, while on the other, a custom shade of teal. The contrast gives onlookers a different perspective of the car depending on where they view it from. 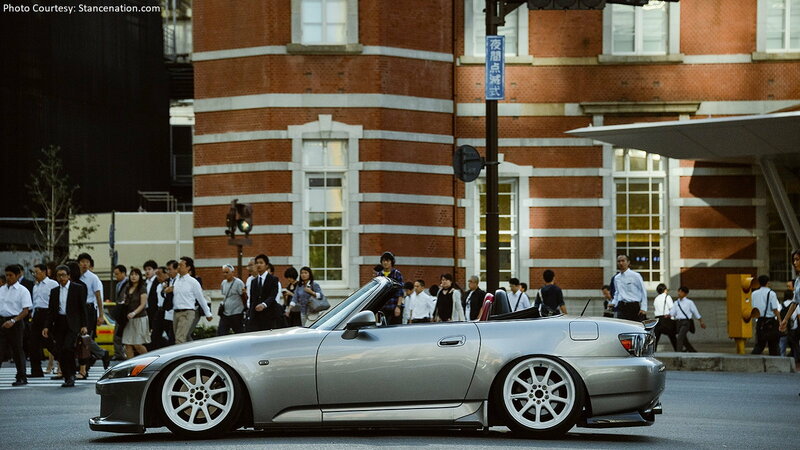 Of course, Matsuo couldn't leave his S2000 completely stock in regards to powertrain. 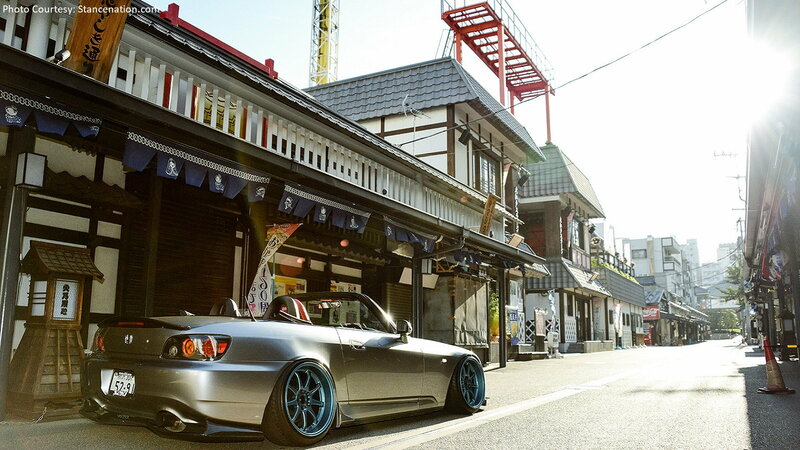 So he's fitted the low riding roadster with an AEM intake, along with Mugen, Spoon, and ASM exhaust bits. Spoon likewise provided an upgraded clutch and flywheel for the transmission. Of course, you don't build a car this expressive and not touch at least part of the interior, and USDM parts are there as well, including the center console and sun visors. With the top down, everyone can see that Matsuo also fitted his ride with goodies like Bride Ergos 2 seats and a Nardi Rally steering wheel for added comfort and visual effect.